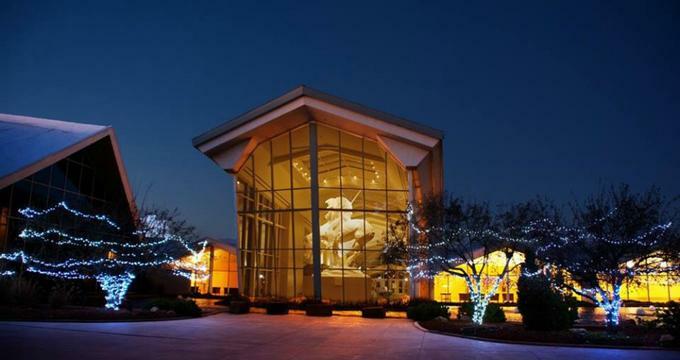 Located in Oklahoma City, the National Cowboy Western & Heritage Museum is truly a national treasure, home to an abundance of history and cultural significance. Since it was founded in 1955, the National Cowboy Western & Heritage Museum has been the premier location for preserving and exploring Western history. 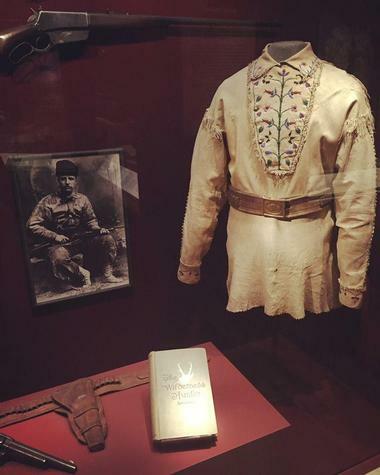 Located in the middle of Oklahoma City, the National Cowboy Western & Heritage Museum has been recognized for having a variety of art, which truly shows what life was like in the West. In addition to the abundance of art, the museum recognizes a variety of historical societies, such as the Annie Oakley Society. The National Cowboy Western & Heritage Museum also partners with a few corporations to make a positive impact on local businesses and the overall economy. 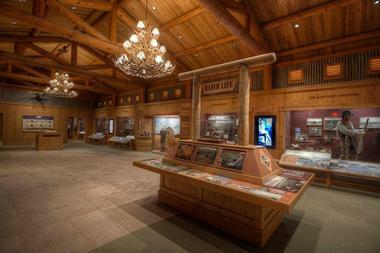 Like most museums, the National Cowboy Western & Heritage Museum has permanent and special attractions. The permanent attractions are comprised of purely prized artifacts that the museum is fortunate enough to own. 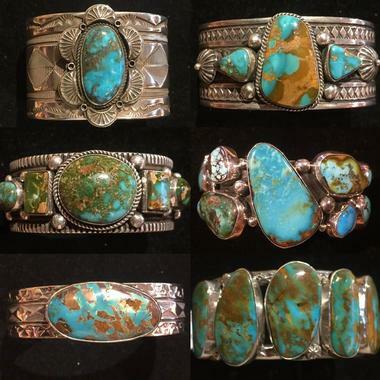 The Jack and Phoebe Cooke American Cowboy Gallery occupies approximately 8,000 square feet of the museum, and is regarded as the gallery with the richest history in the museum. This gallery is full of artifacts that have intricate detailing and descriptions, which makes it easy to learn about the dense history. One of the highlights of this attraction is the abundance of equipment that is found here, such as saddles and spurs. The Weitzenhoffer Fine Firearms Gallery is sponsored by Ackerman McQueen, and is home to over 100 historic firearms. Each firearm has a different mechanical structure and design. The variety of firearms tells a story about what life was like in the West, and how owning a firearm was like a style statement. The Lynn Hickey American Rodeo Gallery transports visitors to what a historical rodeo would feel like. This interpretive attraction occupies approximately 6,500 square feet, and acts as a fun and exciting way for people to explore the history of what was the most popular sport in the West. Halls of Fame serve as areas where the influential men and women of the West are truly honored and memorialized. Visitors will feel an overwhelming sense of accomplishment and motivation while walking through the Halls of Fame and learning about the people who impacted history. Unfortunately, some of the museum’s attractions are only displayed for a certain amount of time. Since special attractions are continuously being added and taken away, it’s ideal to check the Current Exhibitions calendar on the museum’s website. So, you can get a taste of what the museum has to offer, here are some of the current special attractions. 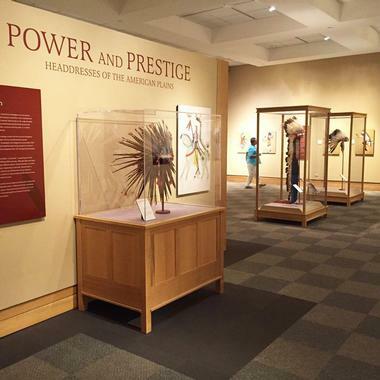 Power and Prestige: Headdresses of the American Plains demonstrates the historical significance and development of Native American headdresses. While the headdresses are absolutely gorgeous, many people don’t know that they were created with special uses in mind, such as war and ritual. This special attraction has a variety of headdresses, art, and photographs that will be on display until May 14, 2017. 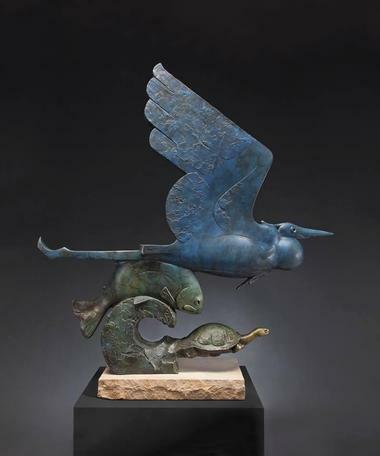 Lowell Ellsworth Smith: My Theology of Painting shows the meanings and processes of the artwork from the late Lowell Ellsworth Smith (1924-2008). Smith was known for his breathtaking watercolor paintings that captured the true essence of what life was like in the West. Education is extremely important to the National Cowboy Western & Heritage Museum. The museum actively works to ensure that everyone, regardless of their age, can extensively learn about art and the West. For school children, the museum offers a variety of field trips such as; self-guided, guided, and specialized. If traveling to the museum isn’t an option for children, the museum can come to them through the various online units and the Traveling Trunks program. The online units are geared towards middle school students, and provide material that is related to the museum and curriculum relevant. As for the Traveling Trunks program, a teacher can rent a trunk that is full of artifacts, learning materials, and interactive materials. Thus, pieces of the museum travel to various classrooms to provide children with a remarkable experience. As for adults, the National Cowboy Western & Heritage Museum provides a variety of educational opportunities that are educational and fun. While the specifics of the events are always changing, typical educational events include; book clubs, seminars, wine & art history events, and lunch events.